DreamCalc DCP4.6.2 Professional Calculator is a program developed by Big Angry Dog Ltd. We know of version 4.7. Version 4.7 is available for download at our site. DreamCalc DCP4.6.2 Professional Calculator distributive has a size of 4,397,842 bytes. 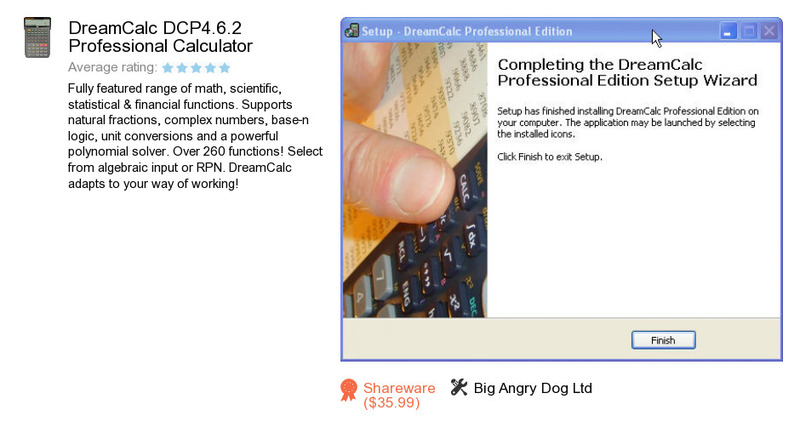 Big Angry Dog Ltd also publishes DreamCalc and DreamCalc Scientific Calculator.